Of course technically the wall is really multiple walls, and I only saw one very touristy section. It was very well restored, but personally I think I tend to like the less populated and more rugged hiking that might be involved in visiting one of the less visited sections. Here are a few tips, bring a hat, sunscreen, water and snacks! If you plan on going to Badaling (one of the “easier” sections to get to from Beijing) bring patience. 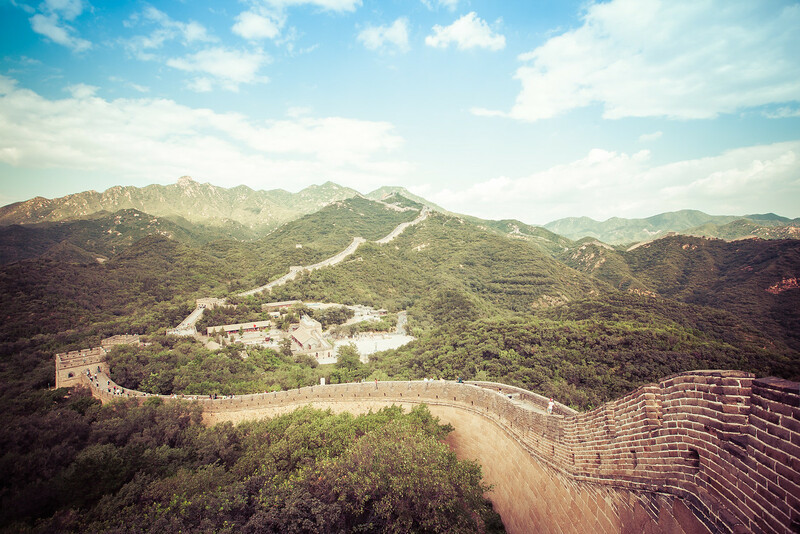 There are over 1.35 billion people in china and I think about 1 billion visit the Badaling section of the wall each day (this maybe an exaggeration). Keep in mind despite not being “rugged hiking” it is a VERY steep climb!